What do you long to express? What burdens can you afford to let go of? Take the weight of the world off your shoulders, open your throat to express yourself, and realize your highest potential. Through inversions and backbends, we will tap our inner wisdom, intuition, and creativity. 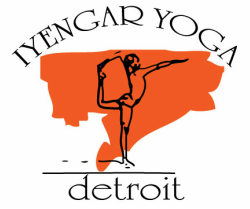 For students with at least 6 months Iyengar Yoga study.